A user on Reddit took the chance and forcefully removed the power cable from a space gray HomePod. 9to5Mac was able to replicate the results, which can be seen in the video below. While the cable was removable, it is worth noting it requires a great amount of force to do so. This is why Apple probably don’t want or recommend it, as it could damage the cable and the prongs that it connects to within the base of the HomePod. 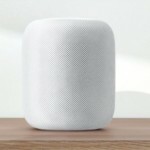 If you bought yourself a brand new HomePod and you ever find yourself in need of a cable replacement, you will have to bring the device back to Apple and pay $29 for the repair. Within the near future, Apple probably won’t start selling the power cables in its retail stores. It is worth noting that power cable replacements should be rare as the device is not meant to be moved around a lot.